These were recommended to me by many people. They were so right! 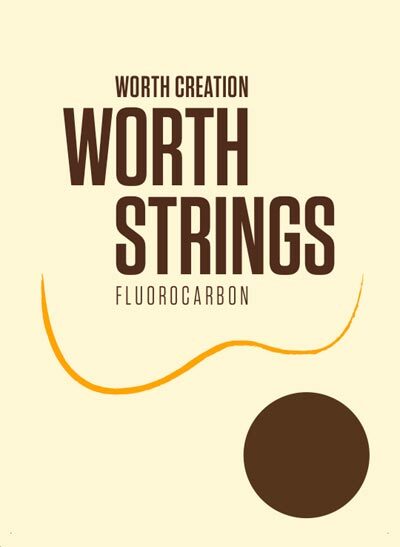 I have been using Worth Brown Strings in my ukuleles and love them. The tone is just amazing with easy glide of fingers over the strings. Good selection. Good service. Fair prices. This is the 2nd set I've put on my tenor. The sound is very nice. It would be better if they lasted a bit longer but you can get two restrings from one package. They seem expensive, but the strings are long enough that you are effectively getting two pairs, in which case the prices are comparable to other strings that I've purchased. I had heard some rave reviews about the Worth brown strings. I like them but not THAT much better than other strings I've tried (Aquila Nylgut and Aquila Red). I do like them better than the Aquila Nylgut strings that they replaced--both the sound and the fact that they are a little thinner (most noticeable with the C string).